The best team in the NBA by far as of April 4, the Bucks had won 58 games and were one of only two teams with a winning percentage over .740. The Toronto Raptors had 56 wins and were second in the Eastern Conference behind Milwaukee. The Bucks are the only team so far to have a clinched a divisional championship. The average asking price for a Bucks regular-season ticket was $153, No. 13 in terms of ticket prices on the secondary market, according to secondary ticket marketplace TicketIQ.com. That average asking price is an 8.5% increase over last season. In general, playoff tickets on the secondary market cost 54% more than regular-season tickets. 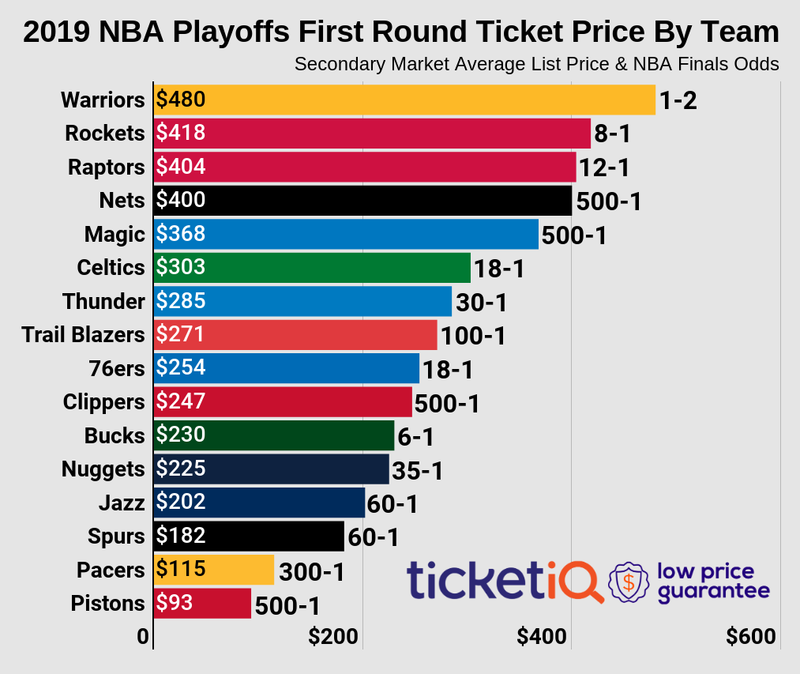 Below is a look at historical secondary market prices for Bucks playoff tickets. Face-value playoff tickets are still available for NBA playoff games involving the Bucks through Shoowin.com, which offers consumers the opportunity to reserve tickets for big events and then purchase them at face value. According to the Shoowin website, fans can save up to 98% over other ticket sites. Though reservations for potential Bucks' first round games are no longer available -- tickets are available for sale on Ticketmaster -- reservations for Milwaukee home games for the Eastern Conference semifinals start at $20 and $110 for the Eastern Conference finals. Reservations for the NBA Finals range between $128-$250. The Bucks haven’t gotten past the first round of the playoffs since advancing to the Eastern Conference finals in 2000-01. They lost that series in seven games to Philadelphia. Last year, the Bucks took the Boston Celtics to seven games in the opening round. Milwaukee rallied from a 2-0 deficit to the series at two games.